Were you seriously injured in a car accident and now the insurance company is giving you trouble? Don’t you wish you had some kind of insight into how insurance companies conduct business, what they’re thinking, and how their investigations are conducted? At Maurer Law, our Raleigh car accident attorneys know all their tricks. Let us help fight the insurance company for you. You’re in luck: My name is Mike Maurer, and in addition to being a board-certified civil trial attorney located in Raleigh, I am also a former insurance company lawyer. I now have a team of experienced Raleigh car accident attorneys to assist seriously injured clients. I spent a large part of my legal career as an insurance defense attorney defending serious injury claims. I’m now using my inside knowledge of the insurance industry’s unfair tactics to help car accident victims get the representation and compensation they deserve. I even worked as a police officer and detective for five years before law school. I was specially trained in investigative procedures, and I have investigated thousands of traffic accidents similar to yours. 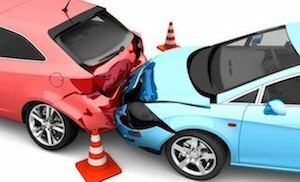 At Maurer Law, we are a boutique law firm and we are selective in the new auto accident cases we can take on. We strive to provide our clients with outstanding legal representation coupled with personal attention. Most of us will be involved in an car accident at some point in our lives. Many of these incidents will end up only being minor “fender benders” that leave us a little sore the next morning. Unfortunately, as you may have discovered, there are some crashes that don’t just cause major damage to your car, but catastrophic physical injuries to your body as well. If you have suffered one or more of these injuries in an auto accident, we want to help you settle your case so you’re able to move on with your life. Our car accident cases rarely ever need to go to trial, but we prepare every single case as if it will so the other side knows we are prepared for anything. Not sure if you need a lawyer? Curious as to whether or not you have a case that could be successful? Contact Maurer Law to set up an initial consultation it’s always free, and there’s absolutely no obligation. If your injuries limit your mobility, or you just feel comfortable meeting in your own home, we are more than happy to come to you.